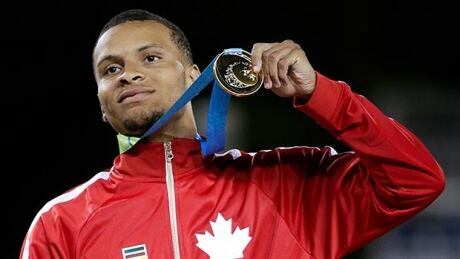 Sprinter Andre De Grasse captured the hearts of Canadians after winning the 100- and 200-metre Pan Am titles. 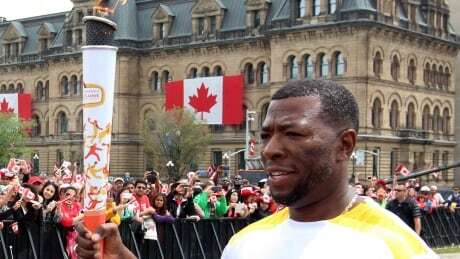 For these accomplishments, and more, the Markham, Ont., native is CBCSports.ca’s Canadian Athlete of the Pan Am Games. 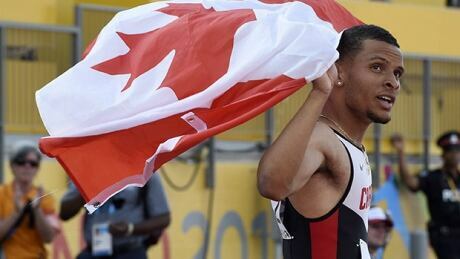 Canadian sprint phenom Andre De Grasse added his third gold medal of the Pan American Games, helping the 4x100-metre relay team to victory. Glenroy Gilbert, who returned as the unit’s head coach at the end of May when asked to replace Desai Williams who, in turn, had once replaced him, says both the onus and the credit is on the young men carrying the stick. 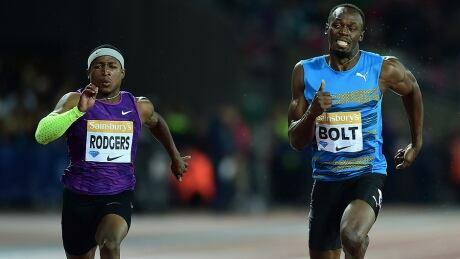 Usain Bolt returned to form by winning the 100 metres in the Diamond League at London's Olympic Stadium in 9.87 seconds on Friday. 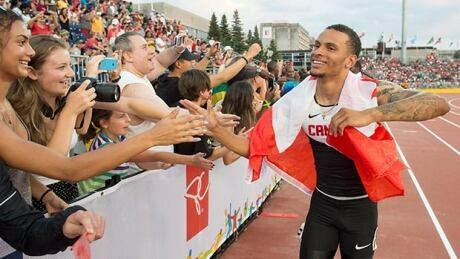 Canadian sprint sensation Andre De Grasse captured his second gold medal of the Pan Am Games in thrilling fashion Friday, winning a photo finish in the men's 200-metre final while setting new national and Pan Am records. Medals bring more than just glory to an athlete-they can also bring some much-needed funding. 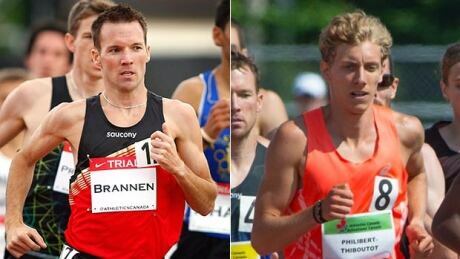 Canadians Charles Philibert-Thiboutot and Nathan Brannen are part of a seven-man unit that has now all run under the world-class time of three minutes, 40 seconds in the 1,500 metres. The next mission: beat the time of former Canadian great Kevin Sullivan. 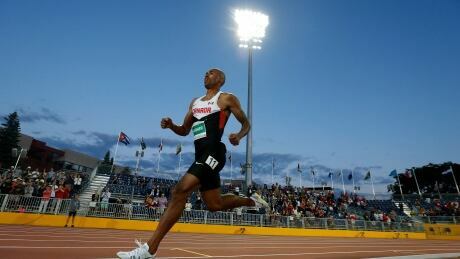 As Damian Warner crossed the finish line Thursday night in the final stage of the Pan Am decathlon competition, he accomplished four things. 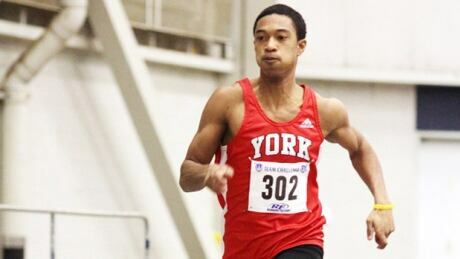 Warner won the gold medal, he set a new personal best in the 1,500m, and, most impressively, he shattered both the Pan Am decathlon record and the 19-year-old Canadian mark. 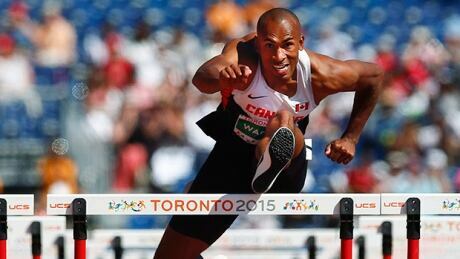 Canadian Damian Warner is one event away from taking home a gold medal in the decathlon at the Pan Am Games as he carries a 286-point lead into the closing 1,500m race. 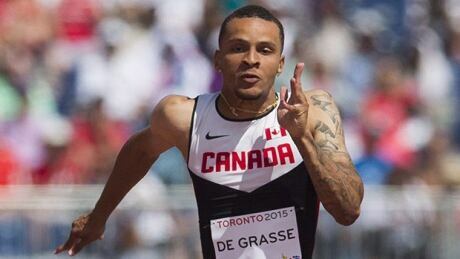 Andre De Grasse has moved one step closer to capturing another Pan Am medal for Canada. The 20 year old advanced to the semifinals after winning his heat on Thursday with a time of 20.17 seconds. You are currently browsing the archives for the Sports/PanAm (Actual)/Athletics-Track-and-Field category.